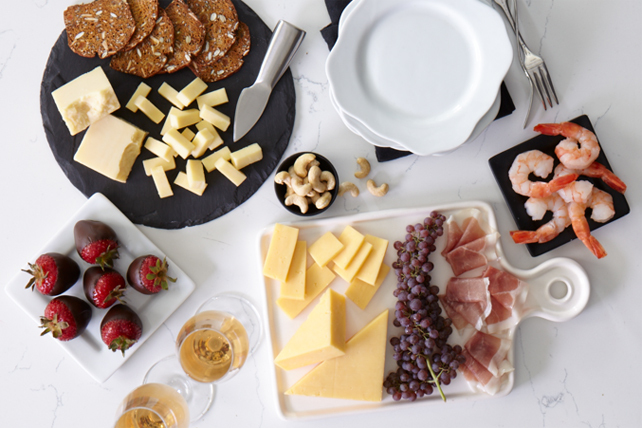 Have a quite gathering or party with this impressive, yet easy-to-assemble, cheese board. Set out the cheeses on a cheese board. Add shrimp, prosciutto, nuts, grapes and chocolate-covered strawberries. Serve with champagne or wine. Drink responsively. Be sure to also offer a selection of other beverages, such as non-alcoholic beer, soda and water.